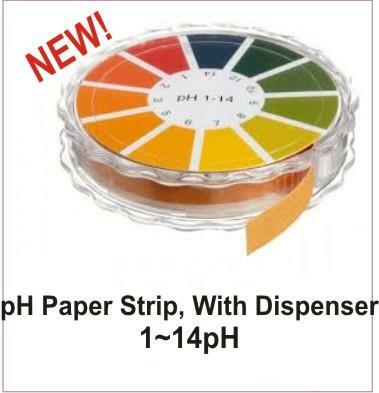 Ph Paper strip with Dispenser. 45mm x 7mm (L x W). The test strip color changes must be matched with the pH scale color chart within about 15 seconds.